Order a certificate for your showing your pride in your profession in your office. 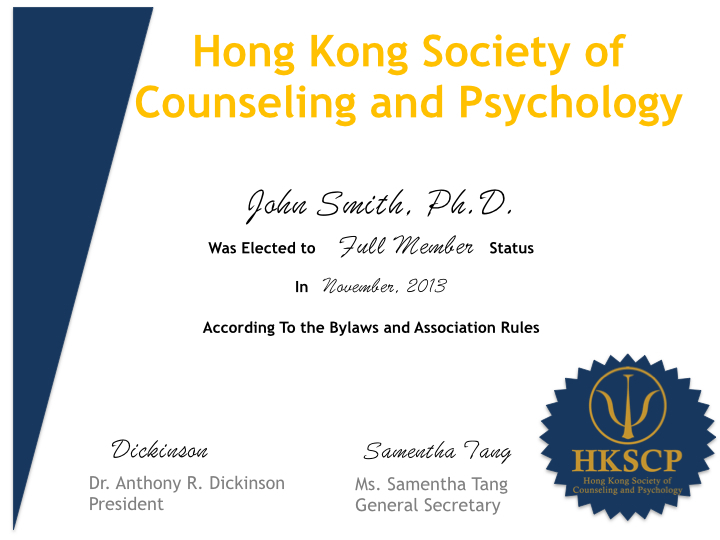 The certificate is signed by the HKSCP president and is available to ALL types of membership. Price includes shipping and handling and is subject to change without notice. Please allow 2 to 4 weeks for orders in Hong Kong and 5 to 7 weeks for orders outside Hong Kong.